Amana 22 cu.ft. side-by-side refrigerator features Temp Assure™ freshness controls, dispenser control lockout and Spillsaver™ glass shelves. The external ice and water dispenser with PuR® filtration, dispense refreshing filtered water and ice from the outside of the refrigerator. 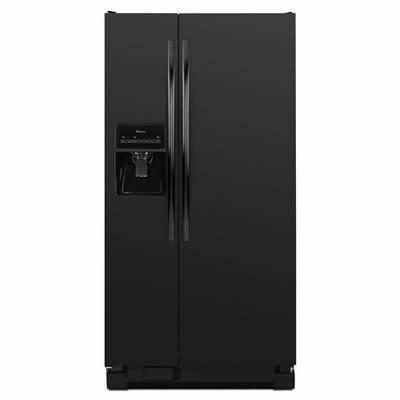 Refrigerator 14.6 cu. ft. / 0.41 cu. m.
Freezer 7.4 cu. ft. / 0.21 cu. m.
Technologies Spillsaver™ Glass Shelves : Save yourself the trouble. 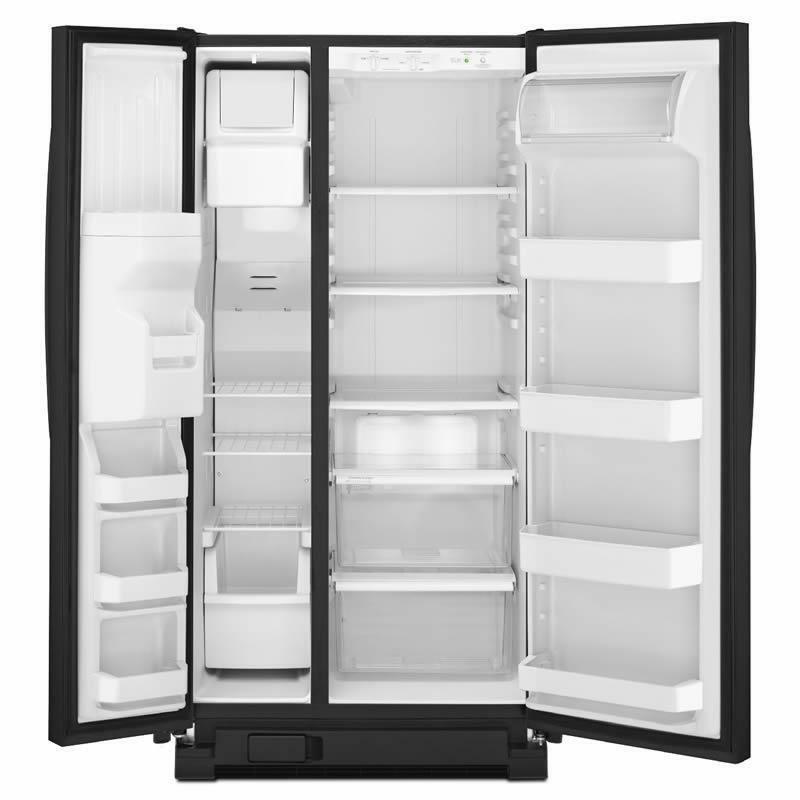 These glass refrigerator shelves help keep the mess contained and can be adjusted to meet your storage needs; Temp Assure™ Freshness Controls : These easy-to-use controls put consistent temperatures right at your fingertips for worry-free food storage. Additional Information 4 Refrigerator Shelves : 3 Adjustable Full-Width Sprill-Prof Glass Shelves, 1 Fixed Full-Width Glass Shelf; 1 Full-Width Humidity-controlled Drawer; 3 Adjustable Door Bins - 1 Fixed Full-Widht - 1 Dairy; 3 Freezer Shelves : 3 Fixed Full-Width Wire. Dispenser Features External Ice and Water Dispenser with PuR® Filtration.